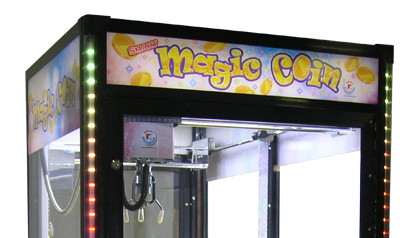 Magic CoinTM is a new twist on the classic Smart crane games. 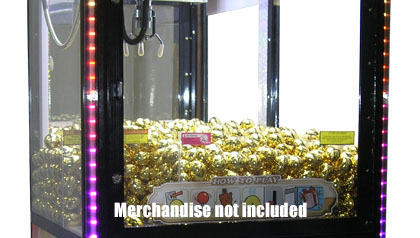 The playfield is filled with special egg-shaped containers. Each egg contains a prize so Everyone is a Winner. 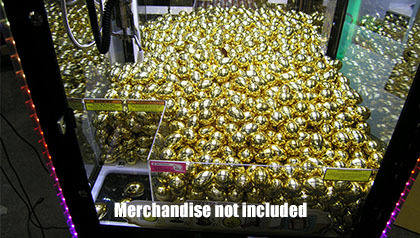 Some eggs may contain special RFID coins. Each RFID coin corresponds to a specific door and prize. 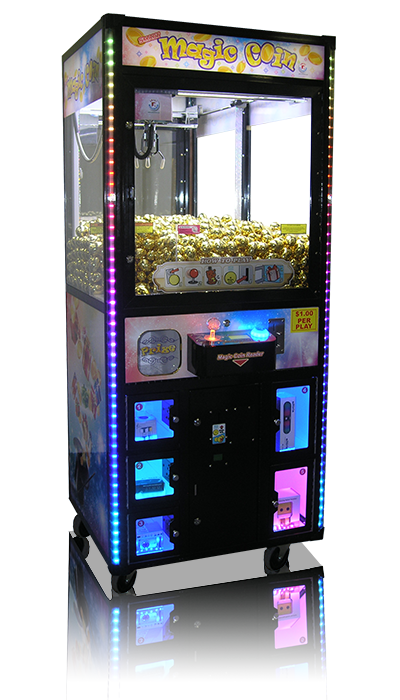 The Smart system incorporates an RFID reader which scans the RFID coins and releases the corresponding door for the player to redeem their prize. 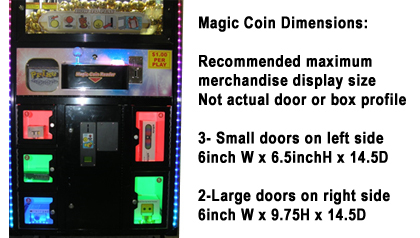 Magic CoinTM: 39"W x 37"D x 80"H - Weight: 350 lbs.